Lillian Gilbreth is a stunning example of female ingenuity in the early twentieth century. At a time when women were standard fixtures in the home and barely accepted in many professions, Gilbreth excelled in both spheres, concurrently winning honors as 'Engineer of the Year' and 'Mother of the Year'. 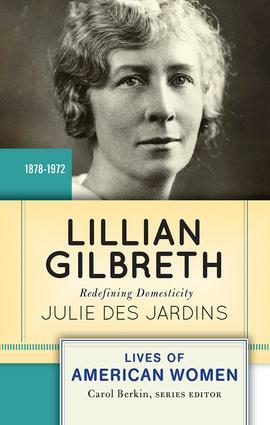 This accessible, engaging introduction to the life of Lillian Gilbreth examines her pivotal role in establishing the discipline of industrial psychology, her work as an engineer of domestic management and home economics, and her role as mother of twelve children - made famous by the book, and later movie, Cheaper by the Dozen. This book examines the life of an exceptional woman who was able to negotiate the divide between the public and domestic spheres and define it on her terms. About the Lives of American Women series: selected and edited by renowned women's historian Carol Berkin, these brief biographies are designed for use in undergraduate courses. Rather than a comprehensive approach, each biography focuses instead on a particular aspect of a women's life that is emblematic of her time, or which made her a pivotal figure in the era. The emphasis is on a 'good read' featuring accessible writing and compelling narratives, without sacrificing sound scholarship and academic integrity. Primary sources at the end of each biography reveal the subject's perspective in her own words. Study questions and an annotated bibliography support the student reader.